I am a vegetarian, and I don’t like carrots. REALLY don’t like carrots. It’s not the biggest confession to ever be announced on the internet, the revelation that I’m a veggie isn’t going to have the slightest effect on anyone's day, other than the odd chicken or two. But the vegetarian thing isn’t the point. It’s the carrot thing. Just because I’m a vegetarian, doesn’t mean that I have to like all vegetables. In particular, ridiculously popular orange ones that actually taste like pencil lead. And no, you cannot just add a few to my plate to make the colour balance better, it’d be less offensive if you just poured on the gravy. 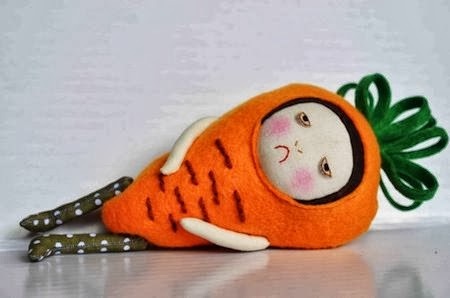 Then I chanced across this image, which I feel perfectly sums up all my emotions regarding carrots. I’d like to call it miserable carrot chops. And I feel no need to rant any further.